Home > Power of Attorney > How Do I Apply for Lasting Power of Attorney? 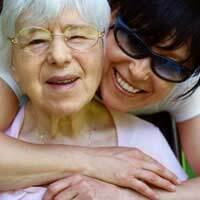 Lasting Power of Attorney is an important legal tool. It allows you to take control of your circumstances, and nominate a trusted individual to help make decisions for you in the event that you are rendered unable to do so. Applying for (or ‘making’) a Legal Power of Attorney is a relatively straightforward process, but it is vital that you understand exactly what this implication will mean for you. A Lasting Power of Attorney (LPA) is a very powerful legal document. It gives you the power to appoint an individual who will be legally entitled to make decisions for you. LPAs are useful in circumstances in which an individual will no longer be able to make decisions for themselves, for example in the case of a degenerative disease. A Lasting Power of Attorney can be made at any point after your 18th birthday, provided that you can be objectively judged to have the mental capacity to do so. An LPA is made by filling out a Lasting Power of Attorney Form. This must then be registered with the Office of the Public Guardian. The LPA Form consists of three parts. In Part A, you make a statement that sets out who you wish to appoint as your attorney, and how you want them to act. You can also nominate people who you wish to be informed when the LPA comes into force, and set out any restrictions on what the attorney can do. In Part B, your ‘certificate provider’ makes a statement. A certificate provider is an individual with whom you have spoken, and who has been convinced that you fully understand the implications of the LPA. They must also be convinced that you have not been coerced into making the LPA. Family members cannot be certificate providers; you need to find another person willing to take on this role. In Part C, your appointed attorney (or attorneys) makes a statement. In this section they give their personal details, acknowledge that they understand the role they are taking on, and give a witnessed signature. You must then send this form, along with forms LPA001 and LPA002, to the Office of the Public Guardian. You will also need to enclose a fee; this is normally £130, although some reductions and exemptions are available. When does the LPA come into force? This will depend on the type of LPA you have chosen. There are two types of LPA: ‘health and welfare’ and ‘property and financial affairs’. A property and financial affairs LPA will come into force at the point of registration. A health and welfare LPA, however, will only come into force after it has been registered and you are no longer able to make your own decisions. It is important that you understand the distinction between these two types of LPA, as your choice will have a significant impact on your life. More information on the different types of LPA is available in an article elsewhere in this section. Once an LPA is registered, are all attorneys entitled to know all the financial affairs of someone who still has mental capacity?In other words, is it incumbent on someone who has been acting as financial adviser to the donor to then release hitherto confidential information to the attorneys, if asked, on the strength of the LPA registration? @oldcooltrendy. Your mother should name some trustees in the will who can help your sister use the money to look after herself effectively. My mother upon her demise is leaving all assets to my sister this includes all monies and the house.My sister suffers from Ushers syndrome with all the mental and physical issues that implies and will be in no position mentally to make decisions about the estate. My mother seems oblivious to this problem and the three other brothers don't seem to be taking this on board as one of them lives at home and seems quite content to stay there and the other two are executors of the will! My question is;Where do the two brothers, who are executors of the will stand in passing all assets of the estate to a sister who is mentally incapable of making decisions concerning those assets?